Can’t get past Windows 7 password on startup? How can I get into my computer without an admin password? There are many ways to crack or remove a forgotten Windows password, but here we’ll learn how to bypass Windows 7 password without overwriting the original password on your PC, in case you’re locked out of admin account. First off, you would need to make a bootable media (CD or USB drive) using another PC with Internet connection. 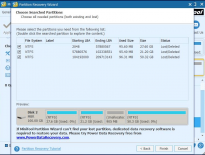 Download the PCUnlocker program (in .zip format) and extract the ISO file from it. Next, download the free burning program ISO2Disc (or Rufus) and install it on your local machine. Start this program and then click the Browse button to import the ISO file you’ve extracted. You can choose to burn it to USB flash drive or a CD. Insert the bootable media you just created into your locked Windows 7 computer. To boot with the USB/CD, you have to press a particular key (might be F2, F12, DEL or other keys) to access the Boot Options Menu, select your PCUnlocker bootable media and hit Enter. After loading WinRE environment from the USB/CD drive, you’ll see a screen that lists out all local accounts on your computer. Just click on the Options button at the bottom left corner, and then choose Bypass Windows Password from the pop-up menu. Click OK to confirm you’re ready to temporarily bypass Windows authentication subsystem the next time you start your computer. Now, click OK and then click the Restart button to reboot your computer. Make sure you remove the PCUnlocker boot media immediately, otherwise your computer will continue booting to the PCUnlocker program. When your PC boots to Windows login screen, type any password (not blank password) in the password field and hit Enter. Voila! You’re logged in! But note that the next time you turn on or restart your computer, Windows authentication subsystem will restore back to work, and you have to log in with the original password. Windows 7 Admin Account is Locked or Disabled? 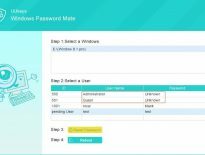 The password bypass method only works if you forgot Windows 7 password or need to access a computer with an unknown password. What if your administrator account is locked out or disabled? In that case, you need to use the password reset method available in the PCUnlocker program. Just select the local administrator account and click on Reset Password button. Apart from removing the password, the program will also unlock & activate your account if it is locked out or disabled. That’s all there is to it.